In We Happy Few, one stat players will need to know how to increase is Stamina. This is because Stamina directly relates to how you play the game and is a factor in everything from combat to your ability to flee dangerous situations. At the bottom of your display, the amount of Stamina you have is displayed in the form of a white bar. If you get into a fight, for example, it’ll begin to decrease in size. Once your Stamina has been completely drained, you’ll be left unable to move or perform quick attacks, causing you to potentially lose the fight. Your Stamina bar will gradually refill, but at this point you’re fighting both your Stamina bar and your original opponent. To help you avoid frustrating situations like this, we’ve put together a quick guide on how to increase Stamina in We Happy Few! 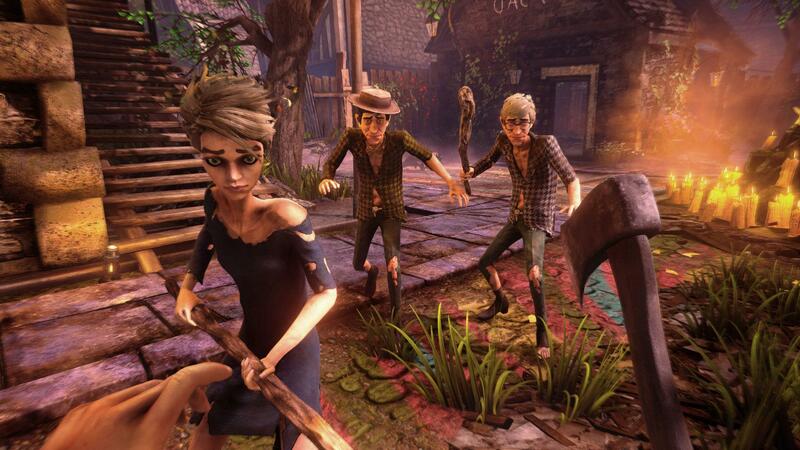 The more Stamina you have, the easier it'll be to deal with combat scenarios in We Happy Few. 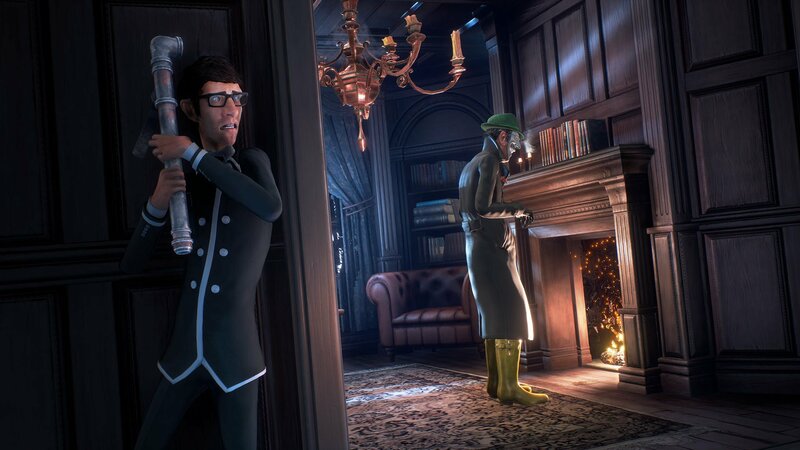 To increase Stamina in We Happy Few, you’ll need to know what contributes to your overall level of Stamina. In the game, your Stamina is impacted by other core stats such including your Hunger Meter and your levels of Fatigue. As such, the easiest way to increase your Stamina in We Happy Few is by effectively managing your character’s survival stats. Rested: Sleep when needed and avoid overexertion to earn the Rested status effect in We Happy Few which improves attack damage and reduces Stamina drain during combat. Well Fed: Monitor your Hunger Meter and keep your character fed to earn the Well Fed status effect and increase max Stamina in We Happy Few. Hydrated: Ensure your character always has their Thirst quenched to earn the Hydrated status effect which causes Stamina to drain slower while sprinting. Before sleeping in someone else's bed or scavening their food in We Happy Few, try to make sure they aren't at home. How do you manage each of these three stats in order to unlock the positive status effects listed above? One of the easiest to manage is Fatigue, as this simply requires you to sleep in a bed located at one of your Safe Houses. If you cannnot reach your Safe House, you can also sleep in someone else’s bed so long as they’re not around to notice you trespassing. Sleep restores Health, but it also depletes your Hunger Meter and causes Thirst. The longer you sleep, the hungrier and thirstier you’ll be upon awakening. We recommend sleeping first before moving on to the other two survival stats. Once your character is well-rested, you’ll need to find some food and water. Thirst can be managed by drinking from a nearby Water Pump. Alternatively, if you’ve found a Canteen you can fill it up at a Water Pump to take water along with you. As you’d expect, to address hunger you’ll need to eat food in We Happy Few. Try to avoid eating rotten food, as eating too much rotten food can cause Food Poisoning. We have a guide on how to cure Food Poisoning in We Happy Few, but one of the best approaches is to avoid contracting it altogether by only eating “quality” foods. For readily available food, try to scavenge nearby bushes for Blue Currant. You can also scavenge homes, but similar to sleeping in someone else’s bed, just make sure the home’s residents aren’t there to notice you swiping their porridge. With all three survival stats managed, you should be able to unlock their positive status effects including Well Fed, Hydrated, and Rested. With these unlocked, you’ll be able to increase your Stamina and decrease your Stamina drain in We Happy Few. By reading through this guide, you should now know how to increase Stamina in We Happy Few.